If the registration fee is a barrier for your child to playing in our league, please contact me. We believe that all children deserve to be active, healthy, and involved in their communities and we won’t let the fee stand in the way. This is a recreational league for children of all abilities and interest. The TCA Soccer league is a community based, and volunteer driven program offered by the Tuscany Community Association (TCA) which is also a volunteer group. The number of teams we can create is limited by the number of volunteer coaches who sign up! We appreciate anyone that wants to coach and YOU DO NOT NEED TO HAVE PRIOR EXPERIENCE WITH COACHING SOCCER! We’ll give you all the training you need. This systems means that Coaches get to register their kids first (see below for dates). We use this information to set the number of teams before opening general registration. The league is for all children aged 4 through 10. Soccer age groups are determined differently that school age groups, and are based on the calendar year. Birth years listed below are for the 2019 season. The season runs from mid-April through the end of June each year. Registration for volunteer coaches and their children opens on February 1, 2019. We set the number of teams based on the number of coaches who sign up, so if you plan to coach please sign up between the February 1st and 12th. Registration for all players, and all other volunteer positions opens February 16th, 2019. 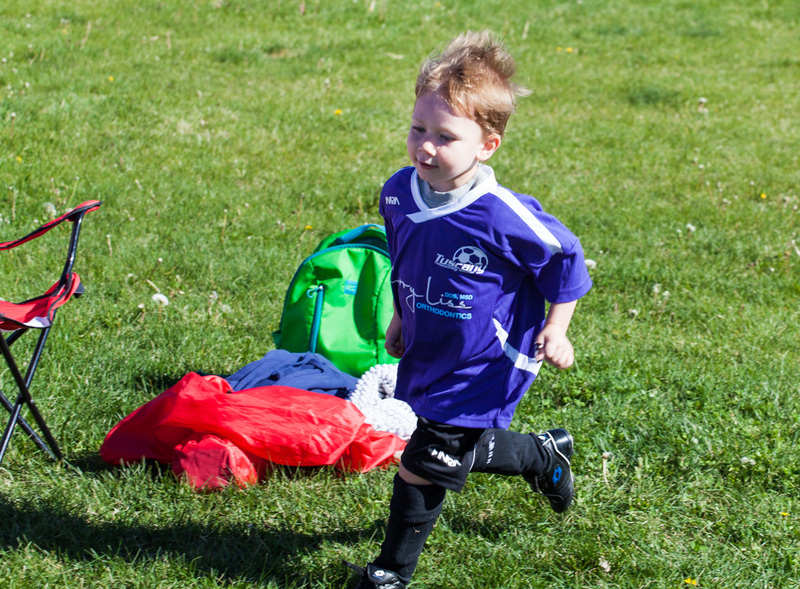 A Tuscany Community Association (TCA) membership is required to play soccer. The membership is $25 per family and you can purchase this when you register for soccer. If you are registering more than one child you only need one TCA membership per family to do so. All games and practices are held within Tuscany. The league depends on volunteers and we expect each family to volunteer at least once during the season. If your family has more than one child playing in the league we still only ask for one volunteer engagement. In some (rare) years, the number of volunteers exceeds the number of volunteer duties required and your family may not need to officially volunteer. We still ask that you pitch in and assist your team’s coaches as much as possible – remember, they’re volunteers too! All players are required to wear non slip shoes suitable for running in grass and shin pads at practices and games. Players will be asked to leave the field if they are not wearing them. Cleats are not required, and not recommended for younger age groups. Players in all age categories will be provided with shorts and jerseys, and will receive a ball at the end of the season.